Ever since she took over the helm of InStyle back in 2016, Editor in Chief Laura Brown made it apparent the rules of the newsstand were to be rewritten, calling upon the likes of Melissa McCarthy, Taraji P. Henson, Tracee Ellis Ross and Janet Jackson to become cover girls. 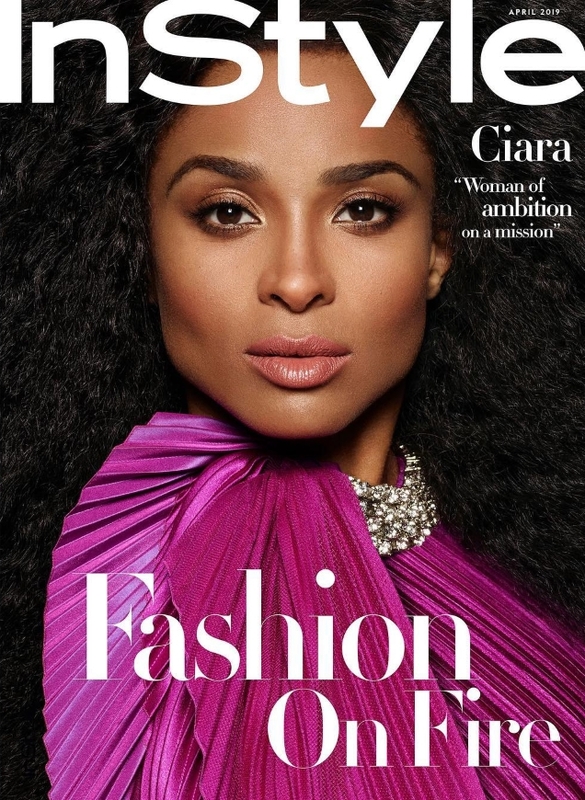 This month, Ciara makes the front of InStyle‘s April 2019 issue, serving up major face, body and glam vibes for the occasion, captured by Phil Poynter. It’s another complete hit (more or less) for the magazine this month, according to our forum members. “Wow, what a beauty! Very refreshing to see her on a bigger title. And her body is banging on that Prada cover! Actually, I only like the full body cover. InStyle tend to shoot their subjects way too close. This one reminds me of the Serena [Williams] cover,” said Benn98. “It’s safe to assume the Givenchy cover (above) is the newsstand version. It’s super gorgeous!” championed GERGIN. “Always loved Ciara, always thought she’s underrated and always thought she was beautiful. It’s fab to see her on the cover of InStyle, and with the passing of each issue, I am having a newfound love and respect for Laura Brown. The closeup newsstand cover is undeniably gorgeous!” praised vogue28. “Really shocked to see Ciara on the cover. It’s a nice surprise. InStyle as really been on a good roll this year. She looks absolutely gorgeous,” RanThe expressed in delight. We’ll race you down to the newsstand for this one. See more from the issue and join the conversation here.